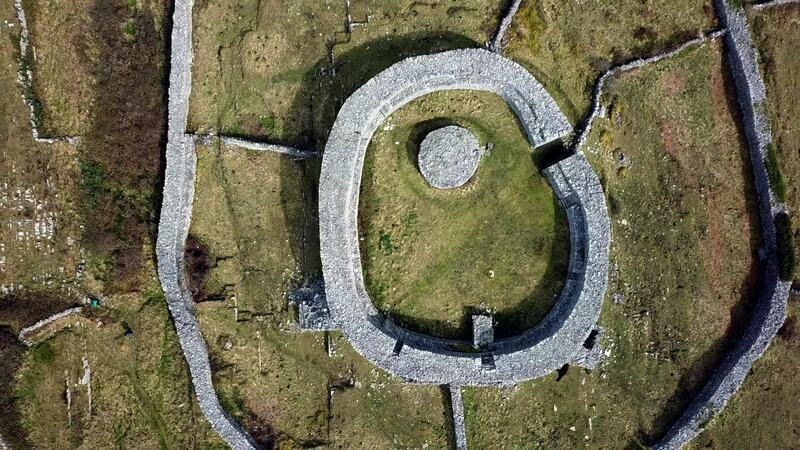 Check out this stunning drone video of some of the most famous ancient ruins of Ireland, compliments of contributor iampeternagy. Inis Mór is the largest of the Aran Islands in Galway Bay on the country's western coast. It's also the largest Irish island not connected to the mainland by bridge. It is best known as the home of the Dún Aonghasa hill fort, which is featured prominently in the video. The construction date of the fort is not known exactly but is believed to be around 1100 BC.